Theft and shoplifting are common charges and are are two types of property crime. In Ontario, theft under $5000 is a commonly charged offence. Under Section 322 of the Criminal Code, a person commits theft when he fraudulently and without colour of right takes or fraudulently and without colour of right converts to his use or to the use of another person anything. The person must have the intent to: deprive, temporarily or absolutely, the owner of the property, or a person with a special property or interest in it. A common example of theft under $5000 is shoplifting. Section 322. (2) of the Criminal Code states that the offence of theft is completed when a person, with the intention to steal anything, moves or causes the item to move, or begins to cause it to become movable. For example, a person commits theft if he takes an item off the shelf of a grocery store with the intention to steal it. The person does not have to actually walk out of the grocery store with an unpaid item for the offence of theft to be completed. Shoplifting is an often charged offence and many people who are charged with shoplifting have never been charged with a criminal offence before. Sometimes a person might be offered diversion at their first court appearance. If you are offered diversion, it means that the Crown Attorney has agreed to withdraw your case if you successfully complete the diversion program. To successfully complete a diversion program, you have to first accept responsibility for the offence and then perform whatever task is asked of you by the worker at the diversion office. This could be a letter of apology, a charitable donation or community service hours – it depends on the seriousness of the offence. Once completed, however, your case will be withdrawn. Factors that generally influence a Crown Attorney’s decision in this regard are the facts of the case. For example, the Crown Attorney might look at the value of the items stolen and whether the items were recovered. The Crown Attorney will also look at the history of the accused person, whether he has a criminal record and whether the accused has ever participated in a diversion program before. If the Crown Attorney has agreed to diversion, you still have a choice. It is important that you speak with a lawyer about your options and the potential consequences to you if you complete diversion. Morrie Luft, a Toronto criminal lawyer, has a lot of experience representing people charged with theft and shoplifting charges. 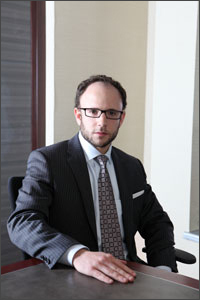 You can contact him at 416-433-2402 to set up a meeting to discuss your case.